A year ago today, I wrote my 1st blog post. A few dozen posts, a couple hundred Twitter followers and a few guest posts on other blogs later, here we are. If you’re anything like me, you don’t focus on accomplishments – you focus on what’s next, what’s wrong, etc. We never take enough time to celebrate accomplishments so here are my 10 of my accomplishments in the past year (this looks short but it took me 30 minutes to do). Law school – I’m starting this fall & I’ve been sitting on this decision since graduating college 5 years ago. I’m finally at peace with this decision. Marathon – I ran my 1st marathon! Bloggy – What my blog looks like now, looks nothing like it did a year ago. My twitter also now has over 1,100 followers. I think I had close to 200 about a year ago. Hello progress! New experiences – It’s so easy to fall into the same habits – in the past year I’ve tried aqua spinning, ran races as an ambassador, a half marathon in humid Miami, passed a fitness instructor class, raised money for a race, a box subscription cooking service (Blue Apron), blogged for other people, met a ton of new people on Twitter IRL, etc. What are some of your accomplishments in the past year? Running, professional, personal – whatever! Leave your answer below & be entered to win a $30 gift certificate to RoadID! I won a gift certificate last week from #Runchat and bought my sister and I RoadID bracelets and love them. Comment by 12pm EST Friday, July 25 to enter! 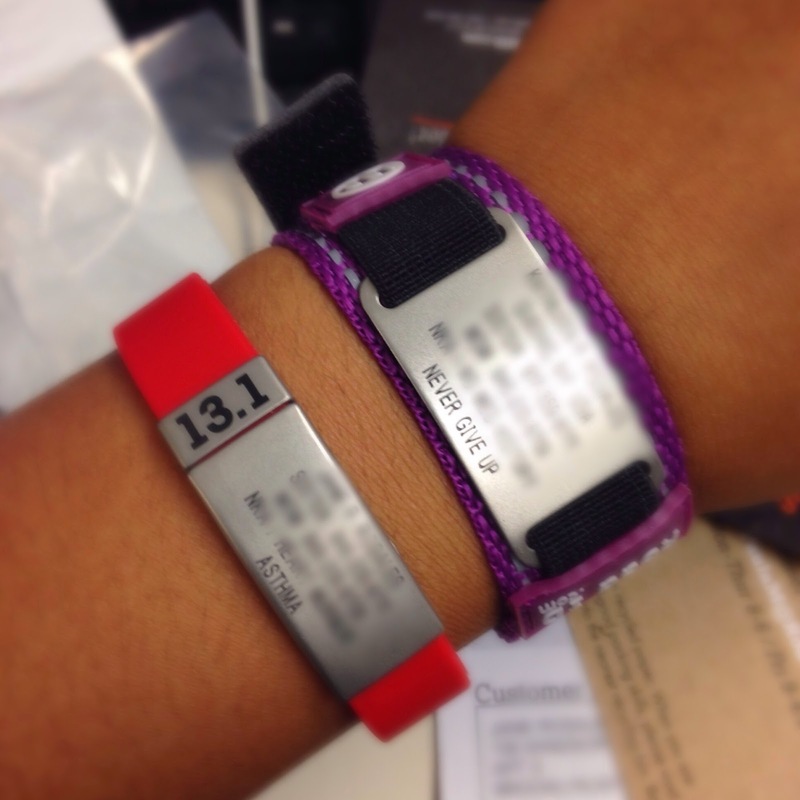 If you’re wondering, the 13.1 red one is mine and is the “Slim” RoadID, the purple which is my sister’s is the velcro type & holds more info on the ID itself. Disclaimer: This giveaway is not sponsored by RoadID. Comment below to enter to win. Winner will be chosen at random on Friday afternoon. 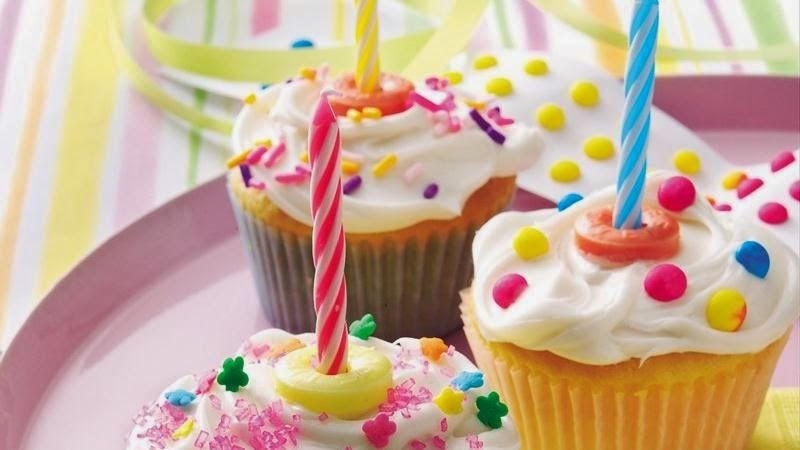 Happy first bloggy birthday! Sounds like you've had some great accomplishments in the past year and still some more great ones to come. Happy Blog Birthday! Following suit with the other comments, I set a PR as well, but it was a 10K for me. I bested my old time by about three minutes at the Peachtree in Atlanta a few weeks ago. Happy Blog bday!!! I would love to win a roadId, after getting hit on my bike this Saturday I know I need one! My biggest accomplishment was qualifying for boston this spring by 7min at my second ever marathon!!! Love all the answers! Congrats to Jmonsta for winning the RoadID gift card!